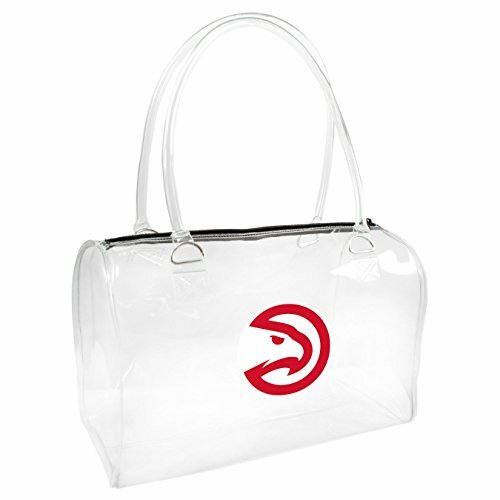 Add style to your game day look with Little Earth Productions Clear Bowler Handbag. These fashionable clear bags are stadium friendly and approved for use in NFL stadiums. 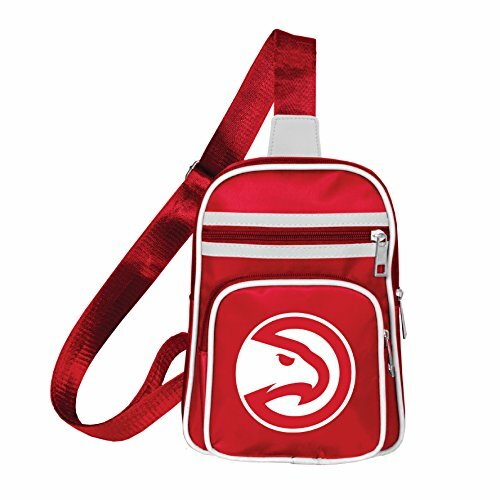 This bag features a zippered top to keep belongings safe inside, and displays a colorful team graphic on the side. 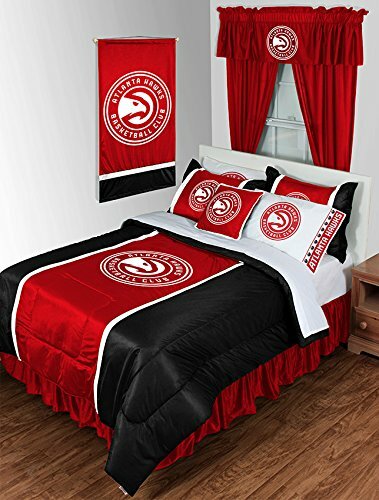 Stay fashionable and trendy while keeping team spirit. Measures 10.5-inches Wide, by 6.5-inches Tall, by 4.5-inches Deep. Do not launder. Wipe clean with a damp cloth. Made of 100% vinyl. Made in China. 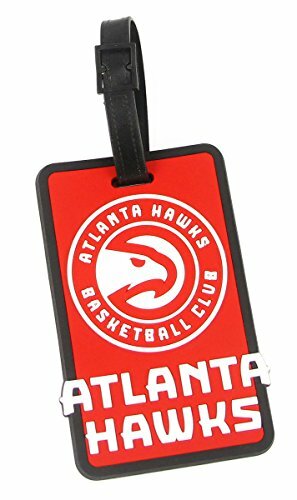 Attractive laser cut rubber luggage tag with Atlanta Hawks colors and logo. Reverse side contains clear window housing your contact information. Be a fashionable fan in a Mini cross sling bag by Little earth Productions. This cute Mini sling bag adds a pop of team color to any outfit. Features two outside pockets and full color team logo print. Full lined with one interior zip pocket. This sling bag measures inches wide by inches in height by inches in depth. Made of 100% polyester. 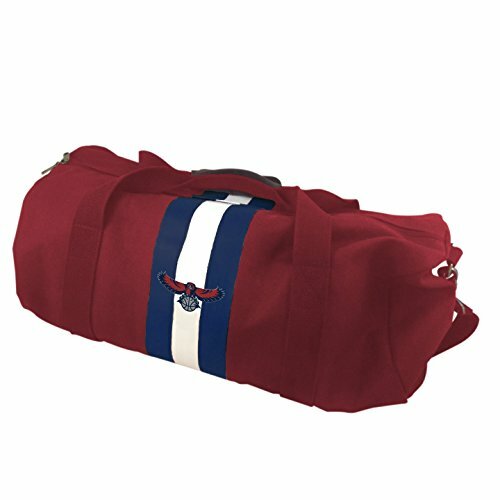 Celebrate your NBA fandom with this Rugby Duffel bag! bringing your workout gear to the gym or clothes for an overnight getaway will be easy with this spacious Duffel bag. 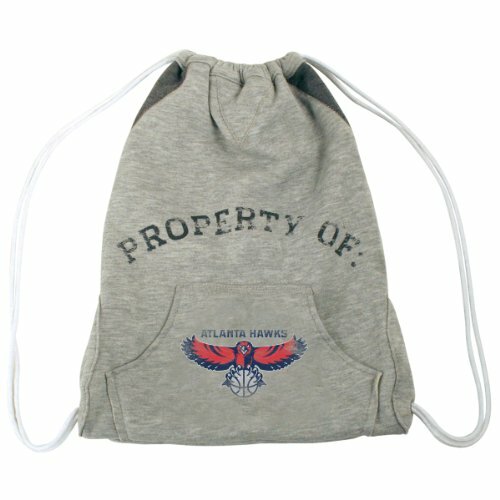 Screen print and embroidered graphics on this Duffel show off your NBA pride. 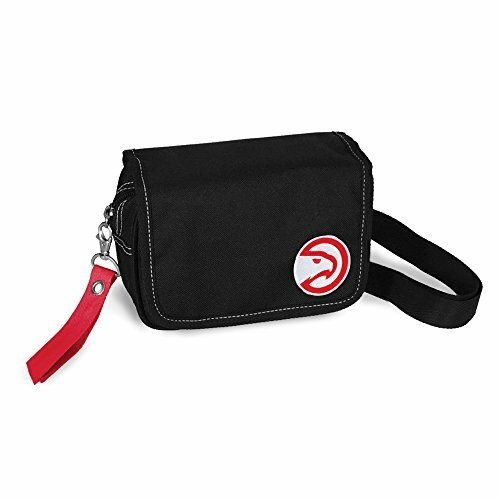 An adjustable shoulder strap and two carry handles with snap closure make it easy to tote this stylish piece of NBA licensed travel gear. Its large main compartment is equipped with a double zipper closure. Our Weekender Rugby bag has ample room for all your weekend getaways. The 16 oz. Washed canvas Duffel with faux-suede accents and antique brass findings is a flexible bag that can fit into any overhead compartment, a packed trunk, or even a crawlspace in the stern. Select your favorite team today. The ribbon waist pack purse by little Earth is a perfect way to show team pride mixed with style and fashion. The ribbon waist pack is a convertible bag that can be worn around the hips or as a cross body! this bag features a ribbon zipper pull in team accent color. The top zipper is covered by a fold over flap with a magnetic closure. Made of 100% polyester and domestically decorated with an embroidered patch. Measures 7.5" x 5.5" x 2.5". Made in the USA. 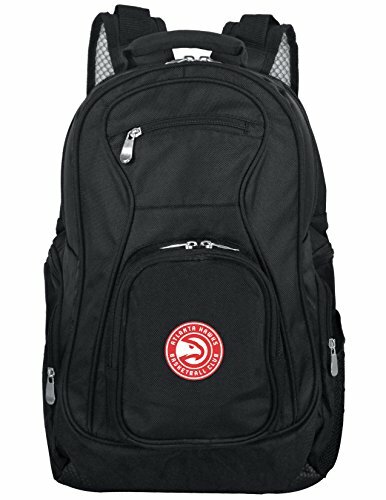 Show off your team pride with the L704 NBA Voyager laptop backpack made by mojo. Each sleek looking backpack measures 19" in length and boasts sufficient storage to fit most laptops up to a 17.5-Inch screen. 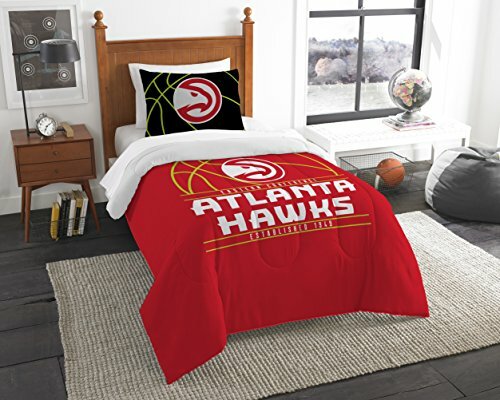 It is embellished with your favorite NBA team colored logo. The adjustable shoulder straps provide comfortable, hassle-free carrying ideal for everyday use. Constructed with high quality nylon and polyester materials provides long-lasting use. There are two main interior compartments for convenient safe storage of your laptop, books, binders, folders and features pen loops and cardholders. Keep your essentials safe on the move as you embark on your day while still having standout style with this take-anywhere dependable backpack.